Welcome to our comprehensive guide to French home decoration, including interior design tips for your French home. Here you will find everything you need to know about interior design for your house in France, whether you are looking for tips for preparing your home for guests, how to display your treasured Vide Grenier finds or creating an outdoor living space you'll find our guides indispensable. If you can't find what you are looking for in this section please scroll down the page where you can view all our articles about French home decoration. How to add a touch of Je ne sais quoi to your home. A guide to interior design for your house in France. Paris style at home: Let’s go bobo! Practical tips to help you enhance the original features of your French Home. Feelings of excitement and anticipation turn to nothing short of sheer panic! Why? Guests are coming to stay! Keep calm and follow these tips. Bobo is the contraction of two very contrasting styles of living, the bourgeois and the bohemian, or bourgeois-bohème, reflected in everything from fashion to food and, of course, also reflected in the the way to style the home. A little help goes a long way. 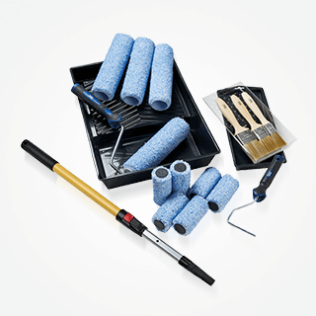 Whether you need a a copper tube, double-glazing, paintbrush or electric drill, find the right word for the job. No matter how prepared you are, those thoughftul final details make all the difference. Find inspiration in these simple and effective ideas. 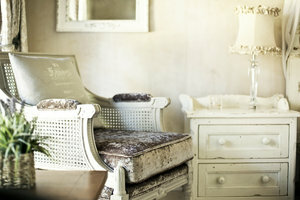 Let’s make a trousseau with beautiful antique French linens. What is the best approach if you’re planning to put your house on the market, or if it has lingered on the market for a while? Three ways savvy sellers can make their property stand out from the competition. Brocantes and vide-greniers are addictive! A few well chosen, good quality vintage pieces can mix well with all kinds of décor. Whatever your preferred French style – Provençal, Country, Parisian, Chateau or Shabby Chic, something light and airy can help to bring the outdoors inside. Julie Kilgallon is a qualified interior designer based on the French Riviera. She grew up in Manchester and was inspired by her mother’s soft furnishing business to pursue a career in interior design. A French style bedroom evokes thoughts of love and romance and with good reason. Colors and textures balance each other in a sumptuous invitation to the senses. According to French tradition, a proper meal on New Year’s Eve will bring prosperity to the house–in which case all the effort that you put in to making it a success will definitely be worth it. After 10 years spent living and working in London as a painter and decorator, Giles Stonor moved to France and established himself as an artisan. Amongst his biggest projects was the restoration of a Chartreuse in the Dordogne. Here Giles tells FrenchEntrée his story. In the world of interior fabrics, there’s something timeless about the iconic ‘Toile de Jouy’. But what does the name mean and where does it come from? Jon Prince settled in the beautiful department of Corrèze before establishing his French business early in 2009. He is now able to supply and install just about any flooring you could want. When Victoria Burton moved to France, she soon realised that her modern flat pack furniture would not look so at home in the granite house she had bought in Normandy. But how to achieve château chic on a budget? Looking to Furnish Your French Home? Furniture for France is now into its twelfth year of supplying quality furniture to properties in France. Furnishing your Limousin home can be something of a challenge as it is not easy to find classic and contemporary designs of good quality at the right price. Although recent EU legislation had limited the VOC contents of paints this does not mean that all paints are now “green”, safe and natural. Renovating a farmhouse is a labour of love for many expatriates in France and properties with character features like original wooden shutters are some of the most sought after – give them the attention they deserve and they’ll reward you for many years to come. 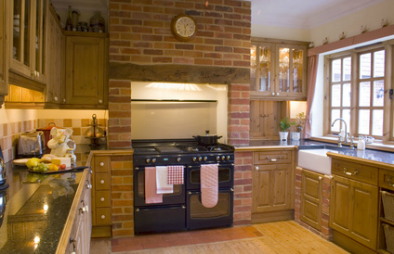 Terracotta is an attractive, rustic material for both old and new houses. If you’re not careful however, it can be very easy to become a slave to your terracotta floor. Here are some tips on how to avoid potential pitfalls when sealing, protecting and maintaining terracotta tiles. ‘The house was so damp mushrooms were growing on the walls! Decorating your house and in need of some inspiration? Then take a look at our new section – gorgeous houses in France with ideas to steal!